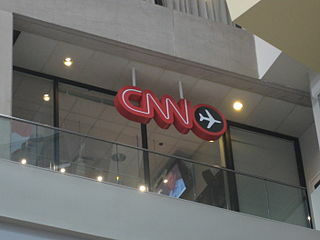 While the news channel has numerous affiliates, CNN primarily broadcasts from the Time Warner Center in New York City, and studios in Washington, D.C. and Los Angeles. 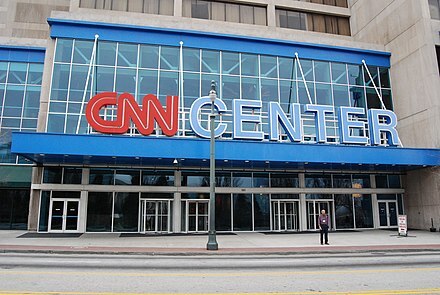 Its headquarters at the CNN Center in Atlanta is only used for weekend programming. CNN is sometimes referred to as CNN/U.S. (or CNN Domestic  ) to distinguish the American channel from its international sister network, CNN International. In the broadcasting industry, a network affiliate or affiliated station is a local broadcaster, owned by a company other than the owner of the network, which carries some or all of the lineup of television programs or radio programs of a television or radio network. This distinguishes such a television or radio station from an owned-and-operated station (O&O), which is owned by the parent network. The Time Warner Center is a mixed-use building complex in Columbus Circle, Manhattan, New York City. It was developed by The Related Companies and AREA Property Partners, and designed by David Childs and Mustafa Kemal Abadan of Skidmore, Owings & Merrill. Robert Edward Turner III is an American media mogul and philanthropist. As a businessman, he is known as founder of the Cable News Network (CNN), the first 24-hour cable news channel. In addition, he founded WTBS, which pioneered the superstation concept in cable television, which later on became TBS. David Edward Walker is a retired award-winning television news anchor who worked for KCRA 3 in Sacramento. 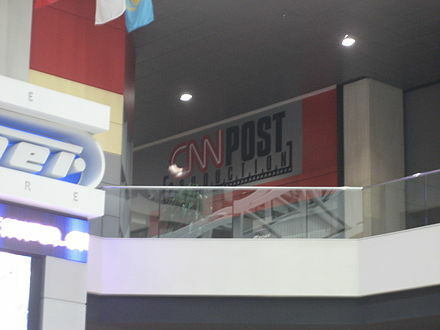 CNN Airport is an out-of-home television network that is operated by CNN. The service broadcasts general news, weather, stock market updates, entertainment, and travel content to airports across the United States. The founding management was led by Jon Petrovich and Scott Weiss. Deborah Cooper was the inaugural vice president/general manager, and continues in the role today. A companion channel, CNN2, was launched on January 1, 1982  and featured a continuous 24-hour cycle of 30-minute news broadcasts. The channel, which later became known as CNN Headline News and is now known as simply HLN, eventually focused on live news coverage supplemented by personality-based programs during the evening and primetime hours. HLN is an American pay television news channel that is owned by CNN. Originally branded as CNN2, and later CNN Headline News, the channel was originally structured to broadcast a tightly-formatted 30-minute newswheel 24 hours a day, with freshly updated information that briefly covered various areas of interest. Since 2005, however, its format has increasingly shifted to long-form tabloid-, opinion-, crime-, and entertainment news-related programming. In 2014, the network further re-focused with an emphasis on social media, but this practice was dropped by 2016 in favor of focusing more towards traditional news programming, with the remainder of its lineup dedicated to true crime programming, drawing heavily from the library of defunct sister network Court TV, as well as new original programs within the genre. Daryn Kagan and Leon Harris were live on the air just after 9:00 a.m. Eastern Time as the second plane hit the North Tower of the World Trade Center and through an interview with CNN correspondent David Ensor, reported the news that U.S. officials determined "that this is a terrorist act." Later, Aaron Brown and Judy Woodruff anchored through the day and night as the attacks unfolded, winning an Edward R. Murrow award for the network. Brown had just joined CNN from ABC to serve as the breaking news anchor. CNN has made archival files of much of the day's broadcast available in five segments, plus an overview. CNN's late afternoon and early evening lineup consists of The Lead with Jake Tapper , hosted by Jake Tapper at 4 p.m. Eastern and The Situation Room with Wolf Blitzer , hosted by Wolf Blitzer at 5–7 p.m. ET. The network's evening and primetime lineup shifts towards more in-depth programming, including Erin Burnett OutFront at 7 p.m. ET,  and Anderson Cooper 360° at 8 p.m. ET, followed by Cuomo Prime Time with Chris Cuomo at 9 p.m., and CNN Tonight hosted by Don Lemon at 10 p.m. Eastern. Overnight programming consists of reruns of the primetime lineup, and an overnight simulcast of the CNN International version of CNN Newsroom from Atlanta, GA. Weekend primetime is dedicated mostly to factual programming, such as documentary-style reality series (including Anthony Bourdain: Parts Unknown and United Shades of America ), along with original based documentaries and specials (including those presented under blanket titles such as CNN Presents and CNN Special Investigations Unit ), as well as acquired documentary films presented under the banner CNN Films . 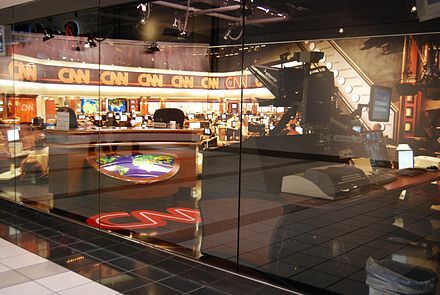 The network's weekend morning programming consists of CNN Newsroom (simulcast from CNN International) at 4–6 a.m. ET, which is followed by the weekend editions of New Day, hosted by Christi Paul and Victor Blackwell, which airs every Saturday at 6–9 a.m. ET and Sunday at 6–8 a.m. ET and the network's Saturday program Smerconish with Michael Smerconish at 9 a.m. Eastern and replay at 6 p.m. Eastern. Sunday morning lineup consists primarily of political talk shows, including Inside Politics with John King , hosted by John King at 8 a.m. Eastern and State of the Union , hosted by Jake Tapper at 9 a.m. Eastern and replay at noon Eastern, and the international affairs program Fareed Zakaria GPS , hosted by Fareed Zakaria at 10 a.m. Eastern and replay at 1 p.m. Eastern, and the media analysis program Reliable Sources , hosted by Brian Stelter at 11 a.m. Eastern. CNN began broadcasting in the high definition 1080i resolution format in September 2007. This format is now standard for CNN and is available on all major cable and satellite providers. CNN launched its website, CNN.com (initially known as CNN Interactive), on August 30, 1995. The site attracted growing interest over its first decade and is now one of the most popular news websites in the world. The widespread growth of blogs, social media and user-generated content have influenced the site, and blogs in particular have focused CNN's previously scattershot online offerings, most noticeably in the development and launch of CNN Pipeline in late 2005. In early 2008, CNN began maintaining a live streaming broadcast available to cable and satellite subscribers who receive CNN at home (a precursor to the TV Everywhere services that would become popularized by cable and satellite providers beginning with Time Warner's incorporation of the medium). CNN International is broadcast live, as part of the RealNetworks SuperPass subscription service outside the U.S. CNN also offers several RSS feeds and podcasts. CNN operates bureaus in the following cities as of February 2017 [update] . Boldface indicates that the city is home to one of CNN's original bureaus, meaning it has been in operation since the network's founding. Fox News is an American pay television news channel. It is owned by the Fox News Group, which itself was owned by News Corporation from 1996–2013, 21st Century Fox from 2013–2019, and Fox Corporation since 2019. The channel broadcasts primarily from studios at 1211 Avenue of the Americas in New York City. Fox News is provided in 86 countries or overseas territories worldwide, with international broadcasts featuring Fox Extra segments during ad breaks. TNT is an American pay television network that is owned by WarnerMedia Entertainment, a subsidiary of AT&T's WarnerMedia. When TNT launched in October 1988, the channel's original purpose was to air classic films and television series to which Turner Broadcasting maintained spillover rights through its sister channel SuperStation TBS ; however, since June 2001, its programming consists of television series and feature films with a focus on drama, along with some sports. Warner Media, LLC, doing business as WarnerMedia, is an American multinational mass media and entertainment conglomerate owned by AT&T and headquartered in New York City. 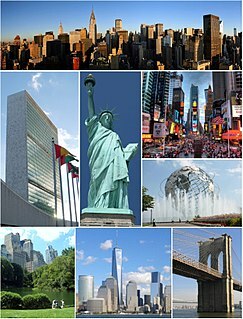 It was originally formed in 1990 as Time Warner Inc., from the merger of Time Inc. and Warner Communications. The company has film, television, cable, and publishing operations, and currently consists largely of the assets of the former Warner Communications, HBO, and Turner Broadcasting System. Its assets include Warner Bros., WarnerMedia Entertainment and WarnerMedia News & Sports, as well as a 10% ownership stake in Hulu. TruTV is an American multichannel television network that is owned by WarnerMedia Entertainment, a unit of AT&T's WarnerMedia. The network was originally launched in 1991 as Court TV, a network that focused on crime-themed programs such as true crime documentary series, legal dramas, and coverage of prominent criminal cases. With its relaunch as TruTV in 2008, the network revamped its lineup with a focus on reality shows and "caught on camera" programs, which the network marketed as "actuality" television. In October 2014, TruTV was relaunched with a focus on comedy-based reality series. Jeffrey Adam Zucker is an American media executive. He previously served as president and CEO of NBC Universal. Zucker served as an executive in residence at Columbia Business School. In November 2012, Zucker was picked to take over as the president of CNN Worldwide in January 2013 after Jim Walton's tenure. 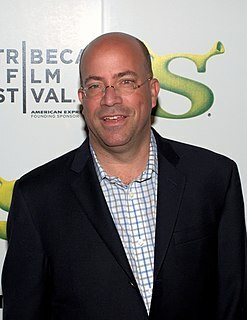 Zucker oversees CNN, CNN International, HLN, and CNN Digital. Cartoon Network is an American pay television channel owned by Turner Broadcasting System, a subsidiary of AT&T's WarnerMedia. Cable news channels are television channels devoted to television news broadcasts, with the name deriving from the proliferation of such networks during the 1980s with the advent of cable television. In the United States, early networks included CNN in 1980, Financial News Network (FNN) in 1981 and CNN2 in 1982. CNBC was created in 1989, taking control of FNN in 1991. Through the 1990s and beyond, the cable news industry continued to grow, with the establishment of several other networks, including, Fox News Channel (FNC), MSNBC, and specialty channels such as Bloomberg Television, Fox Business Network, and ESPN News. More recent additions to the cable news business have been CBSN, Newsmax TV, TheBlaze, Fusion, One America News Network, part-time news network RFD-TV, and—for a time—Al Jazeera America. TBS is an American pay television network that is owned by WarnerMedia Entertainment, a unit of AT&T's WarnerMedia. It carries a variety of programming, with a focus on comedy, along with some sports events, including Major League Baseball and the NCAA Men's Basketball Tournament. As of September 2018, TBS was received by approximately 90.391 million households that subscribe to a pay television service throughout the United States. One America News Network (OANN), also referred to as One America News (OAN), is an American right-wing pay television news channel launched on July 4, 2013, owned by Herring Networks, Inc. The network is headquartered in San Diego, California, and operates a news bureau in Washington, D.C. and New York City. CNN Philippines is a commercial broadcast cable and satellite television network in the Philippines. It is owned and operated by Nine Media Corporation, together with Radio Philippines Network (RPN) as the main content provider, under license from WarnerMedia, a multimedia subsidiary of US-based telecommunications provider AT&T, Inc. Replacing 9TV, CNN Philippines was launched on 16 March 2015. CNN Philippines is the fifth local franchise of CNN in Asia, after CNN Indonesia, CNN Türk, CNN Arabic and CNN-IBN (India). Beme Inc., stylized as beme, was a multimedia company founded by Matt Hackett and Casey Neistat, a vlogger and short film maker on YouTube. Beme Inc. was the creator of the mobile app, Beme. On November 28, 2016, CNN announced that it would acquire Beme. CNN intended to invest in the company and create a new brand focused on a young audience. The Beme app was officially shut down on January 31, 2017. Beme was merged into CNN Digital Studios on January 25, 2018. Despite this, the Beme News YouTube channel is still active. ↑ "CNN changed news – for better and worse". Taipei Times. May 31, 2005. Retrieved January 24, 2009. ↑ Kiesewetter, John (May 28, 2000). "In 20 years, CNN has changed the way we view the news". Cincinnati Enquirer. Retrieved January 24, 2009. ↑ "CNN Show Pages". www.cnn.com. Retrieved August 30, 2016. 1 2 "This date in deal history: CNN begins broadcasting". Deal Magazine. May 31, 2006. Archived from the original on June 24, 2009. Retrieved June 26, 2006. ↑ Staff (July 21, 2015). "List of how many homes each cable network is in as of July 2015". TV by the Numbers . Retrieved August 9, 2017. ↑ "CNN is Viewers Cable Network of Choice for Democratic and Republican National Convention Coverage". Time Warner. August 18, 2000. Retrieved February 20, 2010. ↑ Wiseman, Lauren (May 10, 2011). "Burt Reinhardt dies at 91: Newsman helped launch CNN". The Washington Post . Retrieved May 19, 2011. ↑ "Cable News: Fact Sheet". Pew Research Center's Journalism Project. 2016-06-15. Retrieved 2017-04-20. 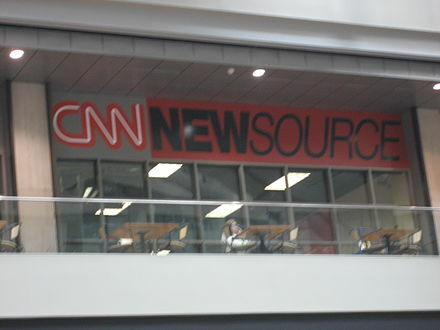 ↑ "CNN Newsource". CNN Newsource. Retrieved 2017-04-20. ↑ Sterling, Christopher H. (2009-09-25). Encyclopedia of journalism. 6. Appendices. SAGE. ISBN 9780761929574. ↑ Tyree, Omar (2009-04-27). The Equation: Applying the 4 Indisputable Components of Business Success. John Wiley & Sons. ISBN 9780470452837. ↑ "Ted Turner, the Lost Tycoon". The New Yorker. Retrieved 2017-04-20. ↑ Leon, Charles L. Ponce de (2015-05-04). That's the Way It Is: A History of Television News in America. University of Chicago Press. ISBN 9780226472454. ↑ Alvarado, Manuel; Buonanno, Milly; Gray, Herman; Miller, Toby (2014-12-09). The SAGE Handbook of Television Studies. SAGE. ISBN 9781473911086. ↑ "The Gulf War and its Consequences". Yale.edu. 1996. Retrieved October 12, 2013. ↑ "'Baghdad': When CNN was the news". Los Angeles Times. 2002-12-06. ISSN 0458-3035 . Retrieved 2017-04-22. ↑ Rohwer, Jim (2001-03-15). Remade in America: How Asia Will Change Because America Boomed. Crown Publishing Group. ISBN 9780609504123. ↑ "After 20 years on air, this is CNN News network celebrates anniversary with specials". NewsOK.com. 2000-06-01. Retrieved 2017-04-22. ↑ "Bernard Shaw". Biography.com. Retrieved 2017-04-22. ↑ "Where Are They Now? Bernard Shaw". The Washington Times. Retrieved 2017-04-22. ↑ Gilboa, Eytan (2005). "The CNN Effect: The Search for a Communication Theory of International Relations" (PDF). 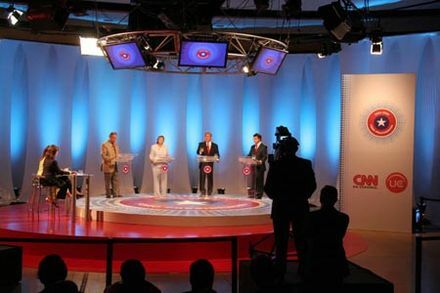 Political Communication: 28. ↑ "No-nonsense news returns to CNN". PressDemocrat.com. Retrieved February 20, 2010. ↑ NewsActive3 (August 5, 2017). "CNN Headline News: September 11, 2001" – via YouTube. ↑ "CNN.com". Web.archive.org. September 11, 2001. Archived from the original on September 11, 2001. Retrieved October 12, 2013. ↑ "CNN BREAKING NEWS Transcript – Terrorist Attack on United States". Transcripts.cnn.com. September 11, 2001. Retrieved October 12, 2013. ↑ "CNN Wins Two RTNDA 2002 Edward R. Murrow Awards". Time Warner. 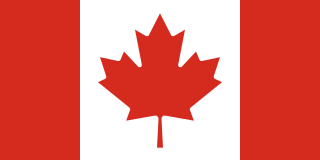 2002-06-20. Retrieved 2016-04-25. ↑ "CNN/WMUR-TV/New Hampshire Union Leader Democratic Debate". Gwu.edu. June 3, 2007. Retrieved February 20, 2010. ↑ Baker, Peter. "YouTube and CNN invite ordinary Americans into presidential debates". International Herald Tribune. Retrieved October 12, 2013. 1 2 "Super Tuesday gets presidential treatment". Latimes.com. February 4, 2008. Retrieved October 12, 2013. ↑ Katz, A.J. (December 28, 2016). "2016 Ratings: CNN Has Most-Watched Year Ever". Adweek. ↑ Grynbaum, Michael (December 1, 2016). "CNN's Coverage of Trump Was Biased, Presidential Candidates' Aides Say". The New York Times. ↑ Georgantopoulos, Mary (October 14, 2016). "CNN's President Says It Was A Mistake To Air So Many Trump Rallies And "Let Them Run"". BuzzFeed. ↑ Wolcott, James (February 2017). "How Trump Trumped The New York Times, CNN, and the Rest of the Media in 2016". Vanity Fair. ↑ Sorkin, Amy Davidson (2017-02-24). "Trump Talks About Enemies, Again, at CPAC". The New Yorker. ISSN 0028-792X . Retrieved 2017-10-27. ↑ "Here's why CNN Became a Lightning Rod for Accusations of Media Bias". Fortune. December 3, 2016. Retrieved April 21, 2017. ↑ "Trump calls CNN 'fake news', as channel defends its reporting on intelligence briefing". Politico. Retrieved 2017-10-27. ↑ Battaglio, Stephen (2017-06-27). "Three CNN journalists resign over retracted Trump-Russia story". Los Angeles Times . Retrieved 2017-06-27. ↑ Farhi, Paul (2017-06-27). "CNN's Russia story debacle came at the worst possible time for the network". The Washington Post . Retrieved 2017-09-13. ↑ "How CNN found the Reddit user behind the Trump wrestling GIF". CNN Politics. July 4, 2017. Retrieved July 5, 2017. ↑ Grynbaum, Michael M. (2017-07-02). "Trump Tweets a Video of Him Wrestling 'CNN' to the Ground". The New York Times. ISSN 0362-4331 . Retrieved 2017-10-28. ↑ Yu, Roger (October 22, 2016). "AT&T agrees to buy Time Warner for more than $80B". USA Today. Retrieved October 22, 2016. ↑ Gryta, Thomas; Hagey, Keach; Cimmiluca, Dana (October 22, 2016). "AT&T Reaches Deal to Buy Time Warner for $86 Billion". The Wall Street Journal. Retrieved October 22, 2016. ↑ Levin, Bess. "Did the White House Just Use the Time Warner-AT&T Deal to Threaten CNN?". The Hive. Retrieved 2017-10-27. ↑ Johnson, Ted (2017-07-11). "Senators Press Trump on White House Contacts Over AT&T-Time Warner Merger". Variety. Retrieved 2017-10-27. ↑ "Senator Concerned That Trump-CNN Clash Could Doom AT&T-Time Warner Deal". The Hollywood Reporter. Retrieved 2017-10-27. ↑ "White House could use AT&T/Time Warner deal as 'leverage' against CNN". Ars Technica . Retrieved 2017-10-27. 1 2 Lieberman, Anita Busch, David (2017-08-04). "AT&T Mulling Sell-Off Of Major Assets Under Turner After Time Warner Merger". Deadline. Retrieved 2017-10-27. ↑ N'Duka, Anthony D'Alessandro, Amanda (2017-10-04). "AT&T Chief Randall Stephenson Plans To Keep Time Warner Management Intact Post Merger, Says "I'm Not A Media Tycoon"". Deadline. Retrieved 2017-10-27. ↑ Steinberg, Brian (2017-10-23). "CNN Fights 'Fake News' Claims With New 'Facts First' Campaign (EXCLUSIVE)". Variety. Retrieved 2017-11-14. ↑ "CNN Launches New Ad Campaign, 'Facts First'". The Hollywood Reporter. Retrieved 2017-11-14. ↑ Meghann Farnsworth (Oct 24, 2017). "Watch BuzzFeed News and The Daily Caller troll CNN's 'This is an apple' ad". Recode. ↑ Ed Mazza (24 October 2017). "CNN's New #FactsFirst 'Apple' Ad Sparks Battle Over Banana Truthers". HuffPost . ↑ Brooke Singman (October 23, 2017). "GOP rep counters CNN's 'Facts First' ad with pro-life video: 'This is a baby'". Fox News. ↑ Eddie Scarry (October 23, 2017). "CNN mocked for new 'BANANA' ad". 1 2 3 4 Stelter, Brian. "AT&T CEO Randall Stephenson: Ready to go to court to get Time Warner deal done". CNNMoney. Retrieved 2017-11-10. 1 2 "Government never tried to force CNN sale in AT&T-Time Warner deal, official says". CNBC . Retrieved 10 November 2017. ↑ Merced, Michael J. de la; Steel, Emily; Sorkin, Andrew Ross (2017-11-08). "U.S. Said to Seek Sale of CNN or DirecTV in AT&T-Time Warner Deal". The New York Times. ISSN 0362-4331 . Retrieved 2017-11-08. ↑ "U.S. demands CNN sale to approve AT&T/Time Warner deal: Financial Times". Reuters. 2017-11-08. Retrieved 2017-11-08. ↑ "Is the AT&T merger with Time Warner being threatened because of a beef with CNN?". The Verge. Retrieved 2017-11-08. ↑ James, Meg. "AT&T says it will not sell CNN despite pressure from Trump's Justice Department". Los Angeles Times. Retrieved 2017-11-08. ↑ Steinberg, Brian (2017-11-08). "AT&T Can't Easily Cut a Connection With CNN or Turner (Analysis)". Variety. Retrieved 2017-11-08. ↑ Johnson, Ted (2017-11-09). "AT&T CEO Randall Stephenson: We're Not Selling CNN and We'll Fight for Time Warner in Court". Variety. Retrieved 2017-11-10. ↑ "Watchdog lawsuit seeks to determine if White House influenced Time Warner-AT&T merger". USA Today. Retrieved 2017-11-10. ↑ "AT&T Sued by U.S. Seeking to Block Merger With Time Warner". Bloomberg.com. 2017-11-20. Retrieved 2017-11-20. ↑ Hadas Gold (June 12, 2018). "Judge approves $85 billion AT&T-Time Warner deal". CNNMoney. Time Warner. Retrieved September 21, 2018. ↑ Cecilia Kang; Michael J. de la Merced (November 20, 2017). "Justice Department Sues to Block AT&T-Time WarnerMerger". The New York Times. The New York Times Company. Retrieved September 21, 2018. ↑ "AT&T Completes Acquisition of Time Warner Inc". AT&T (Press release). June 15, 2018. Retrieved September 21, 2018. ↑ Feiner, Lauren (March 4, 2019). "WarnerMedia reorganizes its leadership team after AT&T acquisition". CNBC. Retrieved March 4, 2019. ↑ "Why a Sugar High is in the Making for Kate Bolduan's Daughter". TVNewser. Adweek Blog Network. Retrieved August 20, 2015. ↑ Hall, Colby. "CNN Reveals New 7 pm Show Title: Erin Burnett: OutFront". Mediaite. Retrieved September 23, 2011. ↑ "CNN Keeps Burnett, Cooper in Primetime While Adding 'CNN Tonight' at 10 P.M." Variety. Retrieved April 11, 2014. ↑ Flint, Joe (April 10, 2014). "CNN unveils new prime-time lineup, moves away from 9 p.m. talk". Los Angeles Times. Retrieved April 11, 2014. ↑ "CNN Doubles Down on a Mix of Live News, Original Series and Films". TVNewer. Retrieved April 11, 2014. ↑ Moraes, Lisa de (2017-05-17). "CNN Adds Series On 1960s & '70s To Slate; HLN Adds 'Unmasking A Killer'". Deadline. Retrieved 2018-05-13. ↑ Petski, Denise (2018-04-11). "CNN Adds Six New Original Series To 2019 Slate; Projects From Sanjay Gupta, Vox Media, More". Deadline. Retrieved 2018-05-13. ↑ "CNN To Follow 'The Sixties' Docu-series With 'The Seventies'". Variety. Retrieved April 3, 2016. ↑ "CNN To Launch 'The Eighties' In March". Variety. Retrieved April 3, 2016. ↑ "Ratings for Anderson Cooper's Karen McDougal Interview". TVNewser. Retrieved 2018-05-28. ↑ Robbins, Stephanie. "TV Week September 6, 2007 CNN HD Debuts". Tvweek.com. Archived from the original on October 15, 2013. Retrieved October 12, 2013. ↑ "CNN Rolls Out Election Express". Tvtechnology.com. October 17, 2007. Archived from the original on November 25, 2011. Retrieved October 12, 2013. ↑ Dickson, Glen (December 15, 2008). "CNN Gets New Graphic Look". Broadcasting & Cable. Retrieved January 24, 2009. 1 2 "CNN Debuts New Graphics Package". TVNewser. Archived from the original on July 13, 2014. Retrieved September 3, 2014. ↑ Airens, Chris (February 18, 2013). "The Ticker Returns to CNN". TVNewser. Retrieved February 19, 2013. ↑ "CNN Updates Graphics Package". TVNewser. Retrieved September 3, 2014. ↑ "CNN customizes new company-wide font". PromaxBDA. Retrieved September 22, 2016. ↑ "CNN is launching a drone-based news collecting operation". TechCrunch. August 18, 2016. Retrieved January 19, 2018. ↑ "AP NewsBreak: CNN chief Jim Walton calls it quits". The Wall St. Journal. July 27, 2012. Retrieved July 27, 2012. ↑ Shapiro, Rebecca (November 29, 2012). "Jeff Zucker CNN President: Network Officially Hires Former NBC Universal Chief". Huffington Post. Retrieved November 28, 2012. ↑ "CNN drops Carville, Matalin, Erickson and executive VP Mark Whitaker". The Daily Caller. Retrieved January 29, 2013. ↑ "CNN Interactive Timeline: May - December, 1995". www.cnn.com. Retrieved 2018-09-26. ↑ Johnson, Peter (March 20, 2005). "It's prime time for blogs on CNN's 'Inside Politics'". USA Today. Retrieved January 24, 2009. ↑ "CNN Revives 'Inside Politics'". Thomson/Reuters. Retrieved January 31, 2014. ↑ Cobb, Chris (April 12, 2008). "'Citizen journalist' often there first to snap photos". Regina Leader-Post. Archived from the original on June 21, 2008. Retrieved January 24, 2009. ↑ "CNN live streaming website". ↑ "CNN website targeted". cnn.com. April 18, 2008. Retrieved October 12, 2013. ↑ Claburn, Thomas, "CNN Faces Cyberattack Over Tibet Coverage", InformationWeek , 2008. ↑ "CNN Awarded Technical Emmy". Archived from the original on July 21, 2011. ↑ "CNN crew released". CNN. April 12, 2001. Archived from the original on March 12, 2008. Retrieved 14 November 2017. ↑ "Videophone Technology". Privateline.com. October 9, 2001. Archived from the original on October 15, 2013. Retrieved March 10, 2016. ↑ "Welcome to the New CNN.com – Interactive tour". CNN. Retrieved February 20, 2010. ↑ Lee, Nicole (May 7, 2014). "TuneIn tries reinventing itself as a social network for audio". Engadget.com. Retrieved February 5, 2015. ↑ Brion, Raphael (April 13, 2010). "Eatocracy: CNN Gets in the Food Blog Business". Eater.com. ↑ "How to join the chat and view the Webcast". cnn.com. Retrieved October 12, 2013. ↑ "Expert Q&A". thechart.blogs.cnn.com. Retrieved 2016-04-10. ↑ Janko Roettgers (7 March 2017). "CNN Adds 360 Video to Mobile Apps, Website as Part of VR Push". Variety. Retrieved March 8, 2017. ↑ engadget (7 March 2017). "CNN launches a virtual reality news unit". TechCrunch. Retrieved March 8, 2017. ↑ "CNN Digital Debuts its Virtual Reality Unit: CNNVR". CNN Pressroom. Retrieved March 8, 2017. ↑ Perlberg, Steven (November 28, 2016). "CNN Buys Casey Neistat's Video App Beme". Wall Street Journal. ISSN 0099-9660 . Retrieved December 4, 2016. ↑ Hackett, Matt (November 28, 2016). "Beme is Shutting Down, But Our Work Is Just Starting". Medium. Retrieved December 4, 2016. ↑ "i sold my company to CNN". 30 November 2016. Retrieved 3 February 2017. ↑ "CNN update". Youtube. Casey Neistat. 5 July 2017. Retrieved 9 July 2017. ↑ "Beme News". YouTube. Retrieved 2017-12-12. ↑ "CNN Creates Unit To Acquire Documentary Films For Theaters And TV." CNN press release via Deadline Hollywood (October 8, 2012). ↑ "Cumulus taps CNN for Westwood One news service". Atlanta Business Chronicle. Retrieved December 12, 2014. ↑ "CNN.com". Edition.cnn.com. Retrieved October 12, 2013. ↑ "Nasce 'Cnn Italia' 24 ore di notizie web". la Repubblica (in Italian). September 15, 1999. Retrieved April 22, 2009. ↑ "Roma-Atlanta via web Parte CNN Italia". la Repubblica (in Italian). September 15, 1999. Retrieved April 22, 2009. ↑ Silver, Elliot. "CNNSi.com Sells for $5,500". DomainInvesting.com. DomainInvesting.com. Retrieved April 4, 2016. ↑ "CNN Worldwide Fact Sheet – CNN Press Room – CNN.com Blogs:". CNN Press Room. Retrieved 14 April 2017. ↑ "The Early Campaign" (PDF). Retrieved February 20, 2010. ↑ "USATODAY.com – New CNN chairman meets with GOP critics". Usatoday30.usatoday.com. August 6, 2001. Retrieved February 5, 2015. ↑ Wemple, Erik (October 11, 2016). "Then-CNN contributor Donna Brazile to Clinton camp: Sometimes 'I get the questions in advance'". The Washington Post. Retrieved October 19, 2016. 1 2 Stelter, Brian (October 12, 2016). "Wikileaks mystery: How did town hall question get to Clinton campaign?". CNN. Retrieved October 22, 2016. ↑ Rosenfeld, Everett (October 31, 2016). "CNN ends relationship with DNC's Donna Brazile". CNBC. Retrieved November 1, 2016. ↑ "CNN severs ties with Donna Brazile". Politico. Retrieved November 1, 2016. ↑ "CNN Wins Network-Record Six News & Documentary Emmy® Awards" . Retrieved October 2, 2018. ↑ "CNN's Nima Elbagir to Receive 2018 Courage in Journalism Award" . Retrieved October 2, 2018. ↑ "George Polk Award for Foreign Television Reporting" . Retrieved February 21, 2018. ↑ "David Begnaud, Ronan Farrow, Elle Reeve, Nima Elbagir, Raja Razek Among 2017 Polk Award Winners". Adweek's TVNewser. Retrieved February 20, 2018. ↑ "Overseas Press Club of America Announces Annual Award Winners". Overseas Press Club of America. Retrieved March 21, 2018. ↑ "CNN Wins Prince Rainier III Special Prize at Monte Carlo TV Festival". CNN.com. Retrieved June 22, 2017. ↑ "British TV Rules Monte Carlo TV Fest, With Double Wins for 'Victoria,' 'Fleabag'". Variety.com. Retrieved June 20, 2017. ↑ "Four Freedom Awards". Archived from the original on March 25, 2015. Retrieved April 4, 2015. Wikimedia Commons has media related to CNN .